Fortunately, the FDA has not banned all edible CBD products. However, the FDA has taken an aggressive new stance on CBD and it’s important to understand the law, particularly as it relates to edibles. The Food and Drug Administration (“FDA”) turned its gaze on the cannabidiol (“CBD”) market market earlier this year. As I’ve previously discussed the FDA sent warning letters in February to several companies who were marketing CBD products. Those letters primarily dealt with representations about CBD that the FDA deemed to be misleading. According to the FDA, the misrepresentations primarily came in two flavors: (1) representations about CBD’s efficacy in promoting health and resolving medical problems, and (2) representations about the quantity of CBD in a given product. 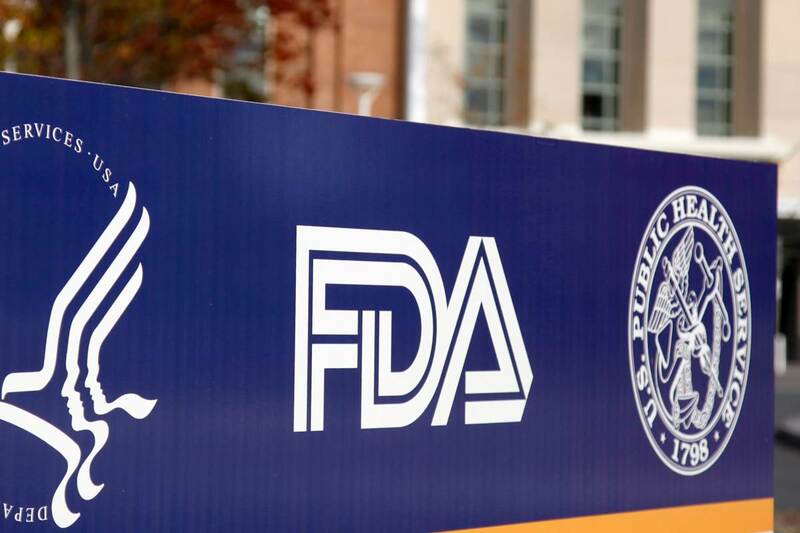 The FDA was concerned that CBD products were being sold as a remedy and, in some cases, a cure, for medical ailments in violation of Title 21 of the United States Code (“the FD&C Act”). Products cannot be marketed or labeled as “intended for use in the diagnosis, cure, mitigation, treatment, or prevention of disease” without further FDA oversight. See 21 USC § 201(g)(1)(B) Additionally, the FDA expressed concern that CBD products were being sold that contained little, and in some cases no, CBD. I always advise my clients in the CBD industry not to make any health representations whatsoever and to represent accurately the CBD content of the products they sell. The FDA is the chief agency responsible for overseeing and approving (or not) new drugs. It is also the agency that takes the largest role in governing the labeling of products. Recently, it has taken an interest in CBD, one of dozens of cannabinoids in the cannabis sativa plant, due to its widespread use and touted health benefits, including, but not limited to, relief from chronic pain, anxiety, nausea, rheumatoid arthritis, schizophrenia, diabetes, PTSD, alcoholism, strokes, cardiovascular disease, and cancer. CBD may help stave off some of the worst effects of Alzheimer’s Disease, appears to reduce the symptoms of Crohn’s Disease, and has been widely used to treat severe epilepsy and seizures. It’s no stretch to say that CBD may very well be a genuine wonder drug. For this reason, along with the general tide of cannabis legalization, its market share has increased significantly in recent years. The FDA has taken two bold steps to limit CBD’s availability on the market. First, it has indicated that CBD cannot be sold as a dietary supplement. A dietary supplement is a term of art (ie, it has a specific legal meaning), defined in section §321(ff) of the FD&C Act. The FDA explains its detailed definition of “dietary supplement” as it relates to CBD by stating: “Under that provision, if a substance (such as cannabidiol) has been authorized for investigation as a new drug for which substantial clinical investigations have been instituted and for which the existence of such investigations has been made public, then products containing that substance are outside the definition of a dietary supplement.” According to the FDA, GW Pharmaceuticals (“GW”) has obtained authorization to investigate CBD as a new drug, substantial clinical investigations have been instituted by GW, and the investigations have been made public. There is an exception if the “substance was marketed as a dietary supplement or as a conventional food before the new drug investigations were authorized.” However, it goes on to state that “based on available evidence, FDA has concluded that this is not the case for cannabidiol.” Accordingly, the FDA has decided that CBD cannot be marketed as a dietary supplement. Although not helpful to the CBD market, being forbidden to sell your product as a “dietary supplement” isn’t the worst news. It can still be marketed and sold, just not as a dietary supplement. Arguably, the worst news is the FDA’s new stance that it is illegal to sell a food in which CBD has been added. When I read this news I had just drafted an exclusivity agreement between my client, a reputable CBD producer, and a chocolatier, for a joint venture to make and market CBD chocolates. It was a good agreement and the type of “win-win” venture that I’m finding is fairly common in the cannabis industry. I was disappointed for my client and, frankly, felt badly that I had just spent hours of billable time preparing an contract that I thought my client may not be able to use. Fortunately, we parsed the language, talked it out, and pressed on. My client’s chocolate CBD product is legal because the chocolate is infused with hemp oil that contains CBD, not pure CBD extract. Edible products infused with hemp oil vs. products infused with pure CBD extract appears to be the distinction that matters. Why? The answer lies in the way that lawyers focus on the meanings of words and phrases. First of all, words matter. Lawyers are often accused of overly parsing words to suit their immediate ends. (What is the meaning of “is?”) But words are both the building blocks and the tools of the law. Fortunately for us, the FDA’s language is very specific and limited. The FDA states, “[it] is prohibited to introduce or deliver for introduction into interstate commerce any food … to which has been added a drug[. 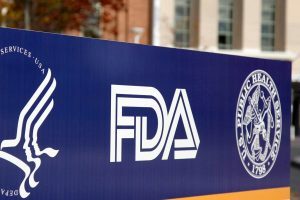 ]” The FDA contends that CBD is a drug. Hemp oil containing naturally occurring CBD is not a “drug.” Red rice yeast (“RRY”), a product that contains monacolin K, also known as the cholesterol reducing drug “lovastatin”, can be legally sold as long as it is fermented in the traditional manner; however, it cannot be marketed and sold for its monacolin K or specific statin content. Similarly, CBD cannot be extracted, infused in an edible product, and then promoted and sold for its specific CBD content, but hemp oil can be. Since my client’s chocolates are infused with hemp oil that contains naturally occurring CBD they are legal. If my client extracted raw CBD and infused it into an edible it would not pass FDA muster. This situation is particularly odd given that under certain circumstances you can purchase, sell, transport, and consume pure CBD. However, if you take that same CBD and infuse it into an edible product the FDA contends that you are violating the FD&C Act. Another confusing issue is the intersection of the FD&C Act and the The Omnibus Appropriations Act of 2016 (P.L. 114-113) passed in December, 2015 (“the Funding Act”). Although the FDA contends that the FD&C Act prohibits the sale of edible products containing CBD, the Funding Act prohibits any Federal funds to be used to “to prohibit the transportation, processing, sale or use of industrial hemp that is grown or cultivated in accordance with section 7606 of the Agricultural Act of 2014, within or outside the State in which the industrial hemp is grown or cultivated.” (See this blog post for more information on the Funding Act.) The FDA is a Federal agency that is funded by Congress. Since CBD is a component part of hemp, can the FDA interfere with edible products that contain it, so long as they are otherwise legal under the Agricultural Act of 2014? Food for thought which address that issue in another post. Thank you for reading. Rod Kight is a lawyer based in Asheville, NC. He is licensed in North Carolina and Oregon and represents legal cannabis businesses. You can contact him by clicking here. ← Will you be at HempX? Thank you for the kind comments. I feel strongly about these things and enjoy reading about it, too. Keep it up! So now CBD oil will not be able to have any “appreciable” cbd content? The fight with the FDA over cbd oil as a “dietary supplement” is the crucial fight. If that is lost cbd oil will not be able to be sold over the counter at all from my understanding. Any updates on this? I would dispute that CBD is technically a drug, but if they are defining it as such then we have to deal with them. What if CBD is in the product name, but the ingredients just list it as hemp extract?